It’s already the 24th on this side of the world and it is just now that I am posting something Christmas-y. It’s been a chaotic start of the month and with all the appointments crammed before the holidays, well, I didn’t have time left to sit down and totally write something cohesive. Anyway, I’ve put up the tree in my apartment a few days into November. Given that we won’t be spending the holidays in the big metro, I opted to have the tree up a month earlier than I usually do just so we can have something to look forward to. And besides, the little boy loved watching the lights. I never really decorated my crib before I had little Z. 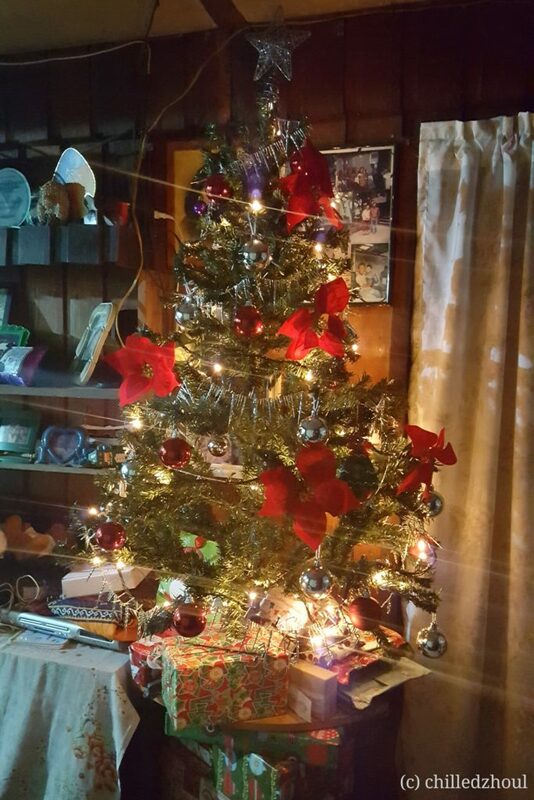 But 3 years ago, a few days before the little boy’s eye surgery, my Mom and I decided to get a tree complete with lights. He was fascinated with the play of lights back then and knowing that after his surgery and his eyes have been rehabilitated, he would enjoy watching the lights more. And we were never wrong on that one. 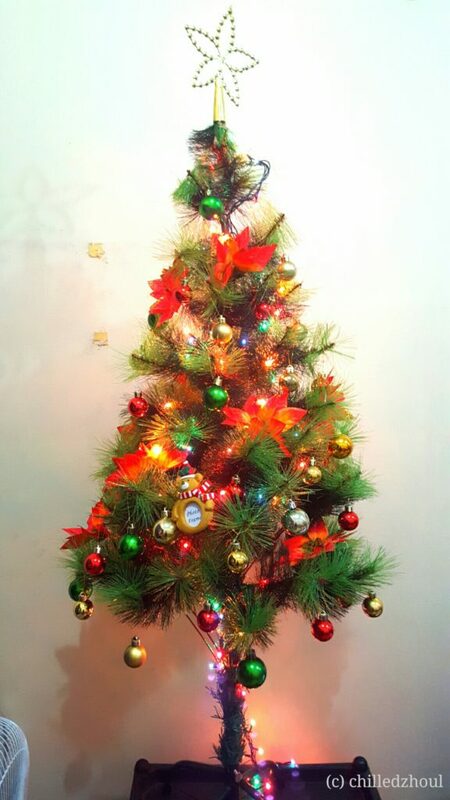 Since then, I have been putting up a tree every Christmas. Though my Mom’s tree looks a lot better. Speaking of lights. 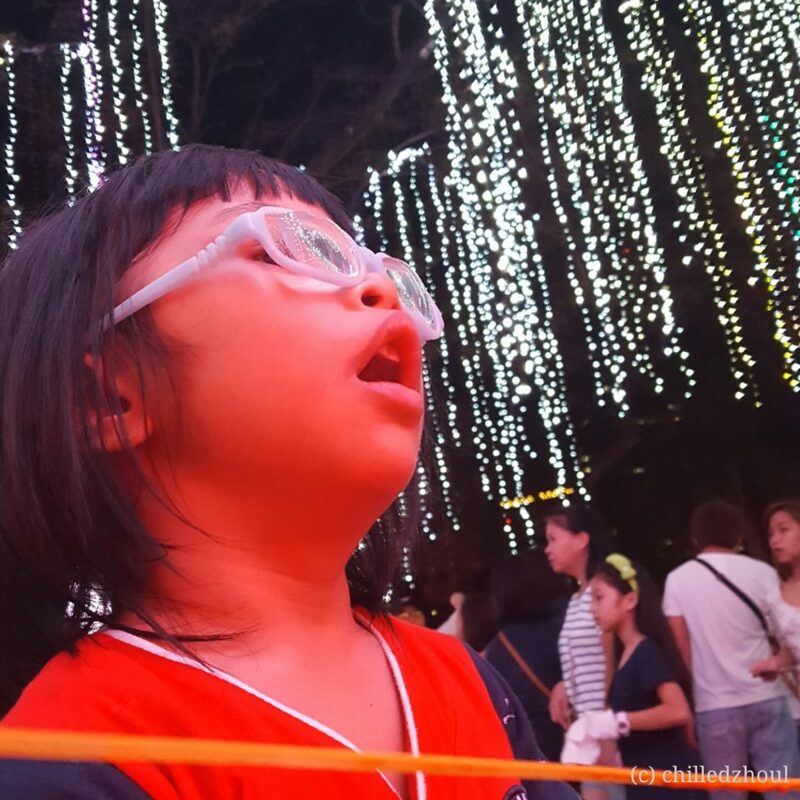 Since I was not able to bring the little boy to watch the lights in Ayala Triangle during his first December (with all the doctor’s appointments and preparation for his surgery, it was not really feasible to do so), I made a promise to myself to bring him there the succeeding year. So, since 2014, I have been bringing the little boy to Ayala Triangle to watch the light show every December. And his fascination with the lights never fades. It’s been his third year to watch the lights already and every single time, he is totally absorbed whenever the music is played and the lights started dancing. Watching him is such a joy, really. By next year, I will be bringing the little boy to this place again to watch the lights. And I have found out a few more places where there are light shows every December that I didn’t know about. I’ll plan that out for next year, that’s for sure. Since we are already here in the mountain city, I am hoping to be able to visit a couple of places for the little boy to watch the lights again. Problem is transportation, though. Traffic in the mountain city is horrible this time of the year. Hopefully, we will be able to go visit in the next couple of days. One tradition that I have every Christmas for so long (I can’t remember when I started but definitely it started when I was still in grade school), is to give gifts. No matter how big the item or how small, I just love wrapping something up and giving it to my family. 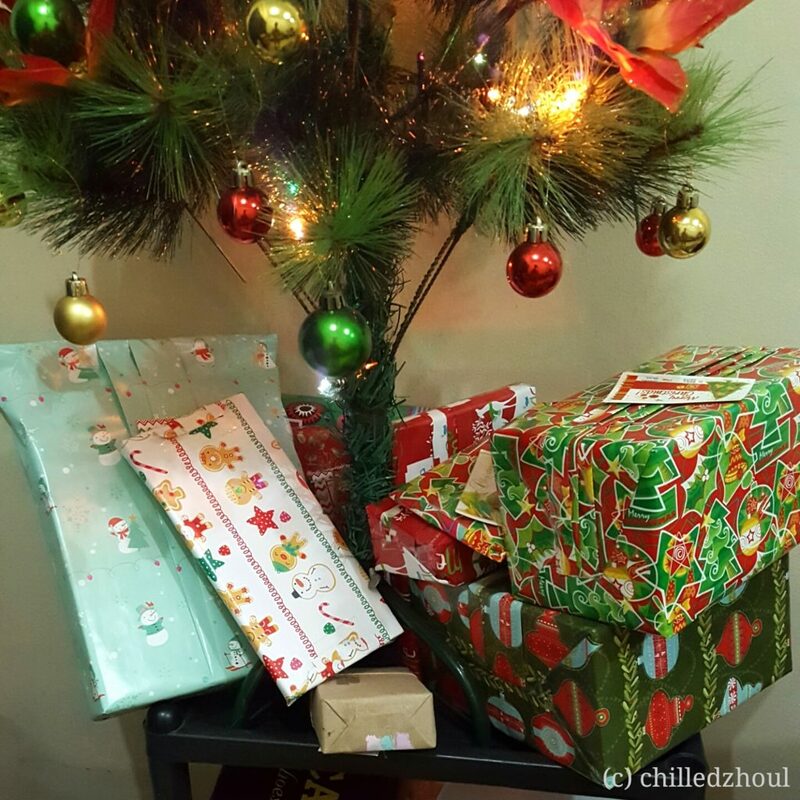 My gift giving started with my family – parents and siblings. Then I included some cousins, my grandmother, etc. When we grew older and my cousins started having babies, my gift list would mainly contain the nephews and nieces. Until now, actually. I always set a budget for gifts every Christmas. The feeling that I am able to give something actually makes me feel good. And this is a practice that I would like to impart to the little boy. Gifts need not be expensive, you know. I try to stick with a certain budget allotted and sometimes, the struggle of trying to find the perfect gift that would be within the budget is a real challenge. Though, I must admit, it brings out the creativity at the same time, it is fun. I never expect to receive anything during the holidays, and in the occasions that I do, it kinda feels a bit awkward. Or maybe it’s just because I don’t know how to react when somebody gives me something. Haha! Oh well. So, one day to go before Christmas. Are you ready yet? 🙂 I only have one more left in my list that’s missing a gift. I think I can still get him something tomorrow, crossing fingers there. The little boy’s gifts are all wrapped and ready for distribution. I am not sure though what my brother would cook for the midnight feast though I think he will cook pasta.